Accuracyandhonestyin ourrelationshipsin all our businessprocesses andour core values. Candidates andwe actwith integrity and honestyinall ourrelationships. 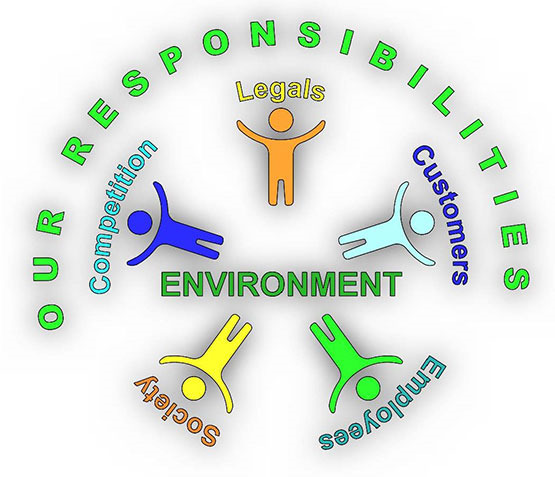 In addition to ourlegal responsibilities; Consultourcompany, employees, suppliers andbusiness partners,competitors inoursociety,we pay attention tofulfill ourresponsibilities tohumanity. Allactivities and operationsof theexistingdomestic andoverseascustomersconductedwithin the framework of Turkey andinternational law, the rightto regulatory authoritiesand organizations, we offera complete andunderstandableinformationin a timely manner. Customer satisfaction-oriented, as soon as possibleto our customers'needs and demands, we triedaproactiveapproach whichanswersthe mostcorrectly.Our services aretimely andprovidetheconditions in which wepromised; customers with respect,honor, fairness, equality, and courtesy within the frame. We approach our employeeshonest and fair, non-discriminatory,we are committed tosafeandhealthyworking environment.Our employeesarethe necessary effortsto enable personal development, andsocial responsibility, we willalso supportthem in volunteeringfor appropriate socialand community activities. Effectivelyonly thecompetitioninthe legaland ethicaland avoid unfaircompetition.Wesupport all effortsto ensurea competitivestructuretargetedwithin the society. Democracy, protection of human rightsand the environment;educationandcharity activities,eradicationof crimes and corruptionis veryimportant to us.Awareness of beinga good citizenmoves inassensitiveapioneerin social affairs; civil society organizations, in theserviceof public interest, inthatwe tryto take partin appropriateactivities.